As you manage your airline, you might feel the need to contact someone inside the cockpit. 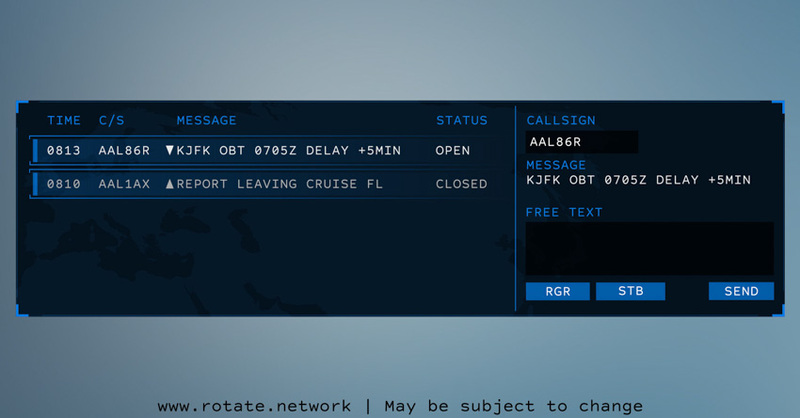 Pilots can pick up and respond to messages you send from the Airline Dashboard right in their Pilot Client. It's a convenient and realistic form of communication. CPDLC can be helpful to airline managers in many ways, such as when coordinating the next flight plan, managing possible in-flight diversions to other airports or re-routes because of weather changes. Indeed, if your airline is part of the in-game economy, you can use CPDLC to improve your pilots’ logistics, thus improving the aviation statistics of your airline, and by doing so improve your airline’s market value. As with most of our tools, CPDLC is just here to help you out in case you want to use it. It's not meant to get rid of other tools such as voice communications via airline owned frequencies, but it should make your life easier and give you more possibilities should you need them.